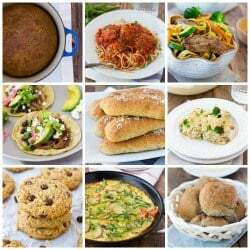 Do you love “best” recipe roundups as much as me? Something about narrowing down the gems of a blog is so satisfying. I hope that all my recipes are successful for you, but here are the best recipes of 2015. I’ve also got an ongoing list of favorite recipes here. I don’t look at my blog statistics too often, but it’s fun to look back on the year and see what recipes were favorites this year. I’ve also included a couple of my favorites. Thanks for your responses to the READER SURVEY (and $25 Amazon giftcard giveaway open until Jan 4!) so far. It has been so wonderful to hear from you. It has also given me an idea of what would be most helpful with this blog in 2016. Thank you for being here! Wishing you a Happy New Year and healthy 2016 full of delicious food – that just happens to be gluten-free! 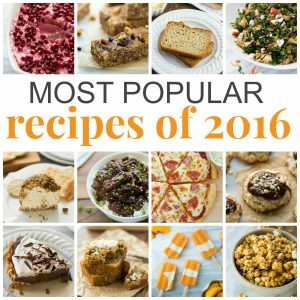 The Best Recipes of 2016 + A $25 Amazon Giftcard Giveaway!